She continues, “We escaped during the night from our home in Daka , my family and our neighbors. When we came here, it was with bare hands. We left everything behind,” Ismael recalls. 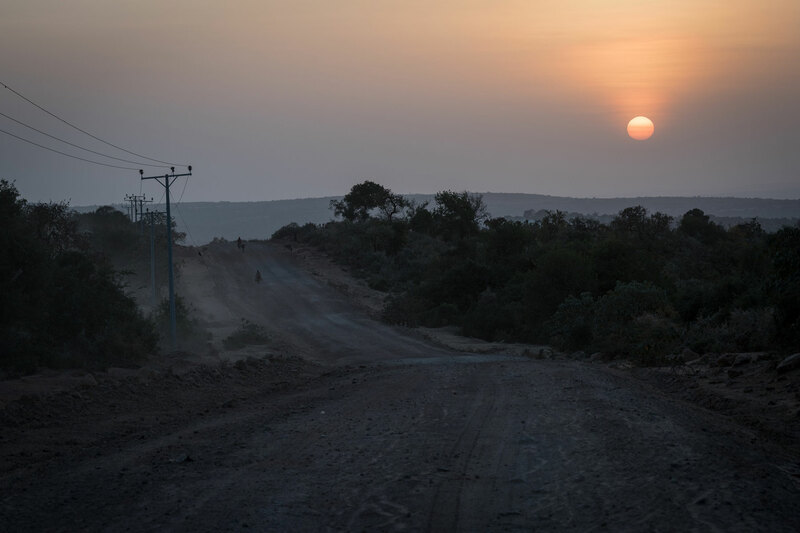 The settlement in Seweyna administrative area is in Bale Zone, nearly 750 kilometers from the capital Addis Ababa. 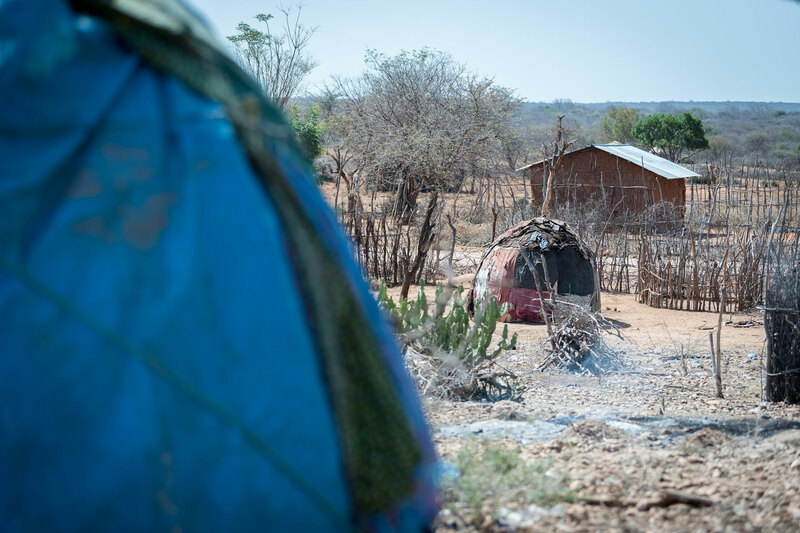 It is in one of the five regions in Ethiopia where the Lutheran World Federation (LWF) is implementing projects, including initiatives aimed at assisting climate and conflict IDPs. And, in a neighboring district in the same zone, the LWF helps communities to build resilience and adapt lifestyles to a changing climate. Ismael is among the 550,000-600,000 people of different faiths supported by the LWF in a country in which recurring periods of severe drought and ethnic conflict have become key drivers of internal displacement, forcing pastoral communities to leave their home lands in search of water, food and new grazing grounds. In Oromia and Somali regions, the LWF currently caters to 83,905 IDPs (38,956 male and 44,949 female). Through its country program, the LWF responds to this emergency by providing water, sanitation and hygiene (WASH) assistance, alongside long-term development and empowerment initiatives. In Bale the LWF currently works in five districts, four of which are classified as priority one hot spots. One of the projects, Emergency and Durable WASH Solutions for IDPs, caters to 22,908 people (11,496 female, 11,412 male) in Rayitu and Seweyna, with support from the Ethiopia Humanitarian Fund (EHF) and the United Nations Office for the Coordination of Humanitarian Affairs (OCHA). The same well, Teka adds, has been providing water for LWF’s emergency response at three IDP sites in Seweyna, each located some 50-80 kilometers from Micha. The work complements the government’s efforts to adapt to climate change and challenges of conflict-induced displacement. “We hope that our long-term presence and witness can help restore and sustain dignity for the most vulnerable people,” she adds. 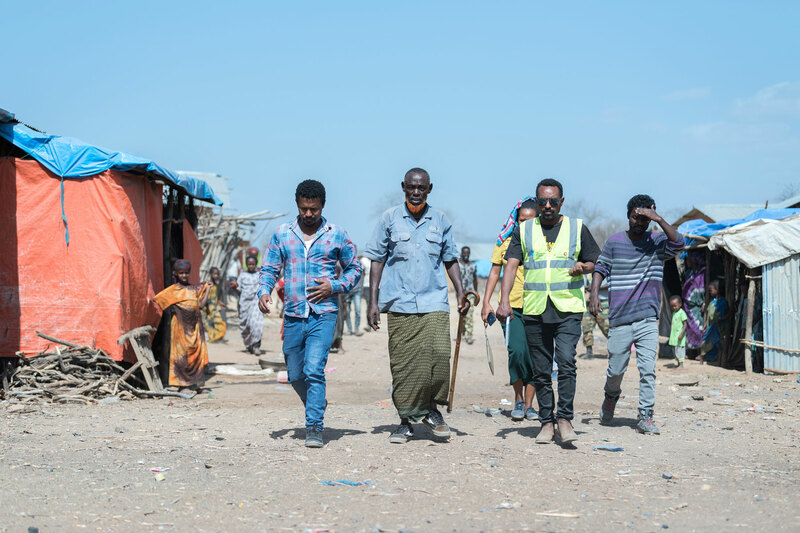 Hussein Ibrahim, also living in Burka Dare, talks about the WASH support he and a group of more than 400 have received since they arrived at the settlement two years ago after being pushed out of their homes in Somali. “We didn’t use to have latrines before, and they have showed great health effects in a short time. We have a system where we clean them every day, taking turns for the women’s and men’s blocks,” explains the 65-year-old, who is also one of the community elders. Back home, they lived off livestock and beekeeping. “Most of us now are idle,” Ibrahim adds, “as we had to leave our lives behind, including our bees and most of our cattle.” Still, the community shows creativity and resilience in the face of hardship, recognizing the change they can make even with the limited resources available. Ibrahim demonstrates how the Oromo make beehives by carving out logs of wood, to be hung in trees around the site. The community then harvests honey from the colonized hives. And, Sahara Abdullahi has devised a new way of earning some income. 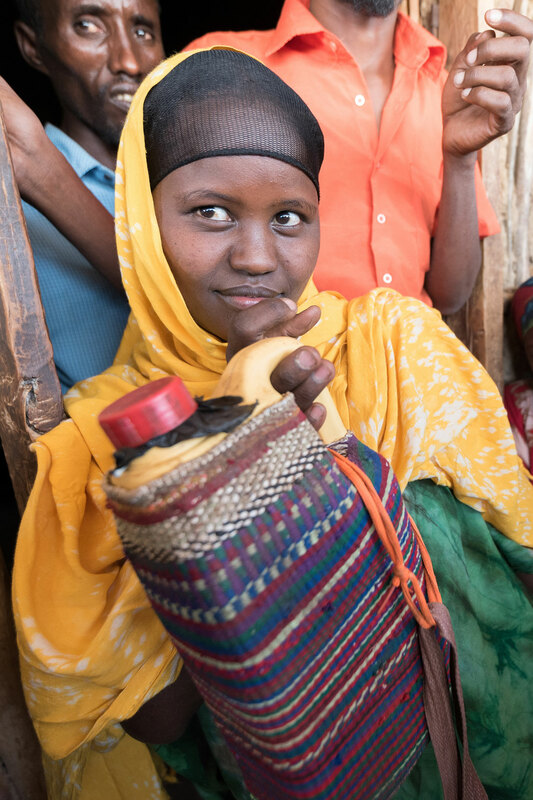 The 18-year-old makes sun protective covers for water jerry cans, which she sells at 50 Birr (EUR 1.6) each. At the nearby river, which runs dry this time of the year, the community has dug a cattle trough to preserve low-percolating water from deep inside the riverbed, salvaging some drinking water for livestock and people alike. The LWF also oversees the construction of three 10,000-cubic-meter ponds in the area, which once filled up by seasonal rains, will provide a last resort for water through the driest months of the year. 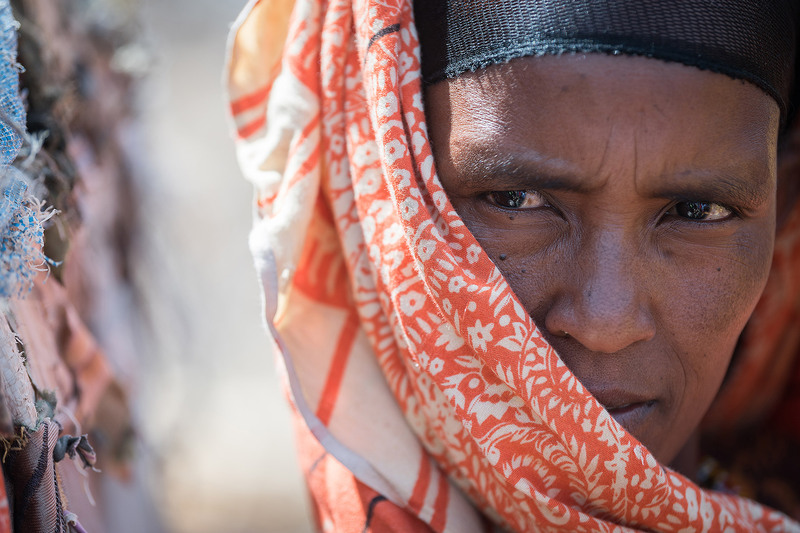 The LWF country program in Ethiopia was established in 1973 at the request of the Ethiopian Evangelical Church Mekane Yesus, with the goal to alleviate the suffering caused by severe drought in the country at the time. 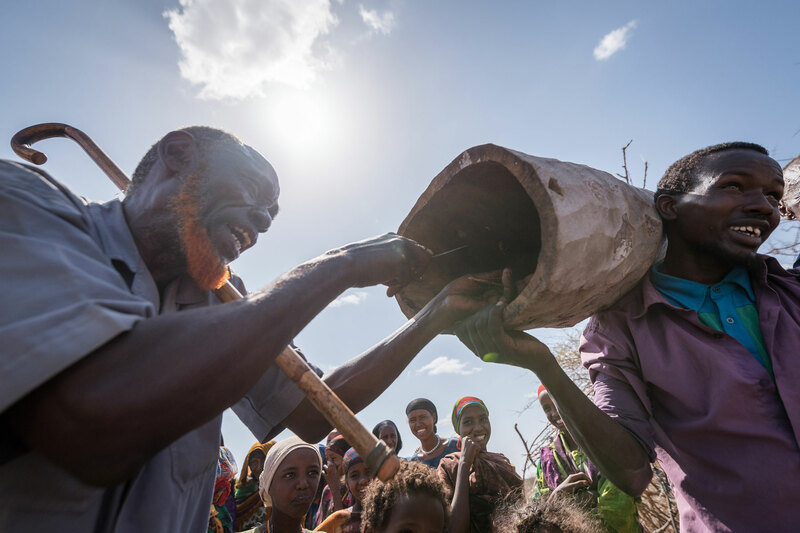 Its community-based work today focuses on building resilience and sustainable livelihoods, humanitarian intervention through WASH, environmental protection and psycho-social support.